Who's the Boss of Your Finances? Who’s the Boss of Your Finances? When it comes to financial decisions, do you feel like the boss or like it’s your first day on the job? If you don’t feel in command, it’s understandable. Millions of people with no background in finance are called upon to make a series of very important financial decisions: making a budget work, saving for college, financing a house, planning for retirement, strategizing on investments, etc., etc. Many find this responsibility intimidating — and unfortunately, that sense of intimidation can contribute to poor decisions. It helps to learn a thing or two about finances; but even before you do that, a little attitude adjustment can increase your chances of financial success. 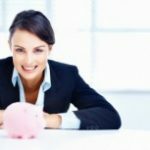 You have to resolve to take control of your financial situation, and there are several ways you can act on this resolution. Just 8 percent felt in command enough to describe themselves as the CEO of their finances. 30 percent felt some degree of confidence, describing themselves as middle managers on their way up. 35 percent saw themselves as entry-level employees just trying to catch on. 26 percent felt overwhelmed and wished they didn’t have the job. In other words, more than half of those surveyed (the last two categories of respondents) did not feel in command of their finances. Avoidance. 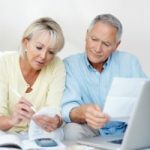 The failure of many people to do even rudimentary retirement planning is not simply because they didn’t get around to it. Consciously or subconsciously, people tend to avoid getting started on tasks they feel are going to be too difficult for them. Because people lack confidence in their ability to take on retirement planning and other major financial decisions, they ensure failure by never even getting started. Acquiescence. You may deal with a number of financial professionals in your lifetime — bankers, investment advisers, planners, etc. Most of them will probably know more about the field than you do, and many of them will have something to sell. That’s a dangerous combination. It leads to consumers agreeing to sales pitches simply because they don’t feel qualified to disagree. Indecision. People get whipsawed by financial market volatility. They open up an investment account in search of higher returns, but then pull back when they start losing money. They only get back in when the market has climbed back up enough for it to feel safe. This failure to choose a course and stick with it leads to bad investment returns, and bad financial decisions in general. In essence, the lack of confidence reflected in the NFCC poll results stems from the feeling that you don’t have command over your finances. You need to counter that by actively taking control. Don’t let anyone pressure you. The more someone tries to make you feel you have to take their recommendations or act within their deadlines, the more you should make it clear that you will make your own decisions on your schedule. Don’t accept an answer you don’t understand. People feel intimidated when they don’t know as much about a subject as the person talking to them, and financial salespeople count on this. Remember, the boss does not need to know all the technical details. Keep asking about the essentials until you know enough to make a decision. Talk it through. Good bosses seek input and feedback before making a decision. Talk your financial issues through with your spouse, peers, or mentors both to get ideas and to test your thought process. Don’t take comfort in other people’s failings. Sure, plenty of people have made a mess of their finances, but you shouldn’t use this as an excuse to make poor decisions as well. Leaders lead; they don’t try to hide in the crowd. Stay informed. Rather than try to gear up for a decision every once in a while, it helps to keep regular track of your finances and the broader economic environment. Analyze mistakes. Don’t hide from your errors. Own them and learn from them so you can avoid them in the future. Repeat successes. Don’t chalk success up to luck. Instead, figure out what you did right and make that part of your process. Contrary to how people in the NFCC poll feel, you are the boss of your financial situation. You owe it to yourself to start acting like it. I definitely feel like I’m on my way up to CEO. I’m new at learning to harness my finances, but I’m trying my best! Well said, Richard. It’s amazing to think that only 8% of those surveyed would describe themselves as CEO of their finances, especially considering that *NOT* being so can have such dire consequences on their financial futures. Personally, I have a plan for every dime of income and investments and couldn’t imagine life any other way.